(MODEL RELEASED IMAGE). 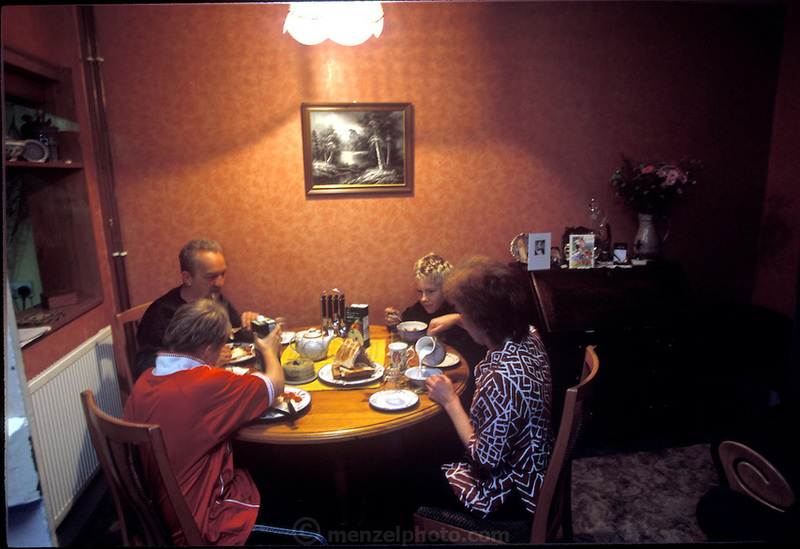 The Baintons, who call themselves the Bees, enjoy a family breakfast at home. Mark cooks breakfast; a task he performs every weekend morning, unless, of course, he can persuade his wife Deb to do it. (Supporting image from the project Hungry Planet: What the World Eats.) The Bainton family of Collingbourne Ducis, Wiltshire, England, is one of the thirty families featured, with a weeks' worth of food, in the book Hungry Planet: What the World Eats.